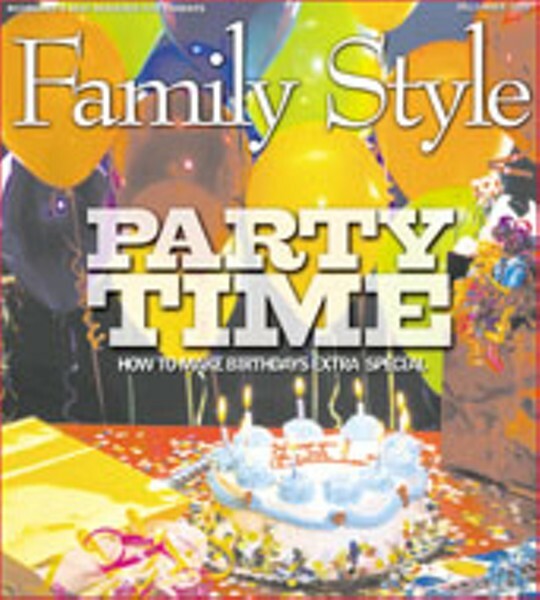 Birthday Bashes for Kids | Family Style | Style Weekly - Richmond, VA local news, arts, and events. Kids love birthday parties, especially their own. In this section, we've pulled together some ideas that we hope will make the celebration as fun and memorable for you as it is for them. Rent inflatable structures of all shapes, from castles and space stations to elephants, trains and dollhouses. Kids from age 2 to adult love to jump inside these get-ups. Rates start at $130 for three hours, including set-up and pick-up. Visit the Web site to view the inflatables or make a reservation. The most popular attraction at A Barrel of Fun is Bows the Clown & Peanut Butter the Circus Show. Peanut Butter is a Yorkie that does tricks such as jumping through hoops and pulling a tissue out of a box when a child says "aachoo!" Bows the Clown and Peanut Butter teach the children about different types of clowns and do a magic show. Famous Fay the Pirate does a pirate magic show, a treasure hunt and a walk-the-plank game. Also, check out Lou Lou the Country Clown, Auntie Em (from the Wizard of Oz) and more. A Barrel of Fun can also provide a DJ for teen parties. Prices vary based on services requested and time involved. Thrill the birthday kid by having a Teddy Bear, a dinosaur or pink gorilla from Black Tie deliver him a singing telegram. Black Tie also offers magicians, clowns, costume characters, moonwalks and balloon decorations. Most entertainment, except for the singing telegrams, is priced by the hour. To get your pick, call at least two weeks in advance. Black Tie also offers cotton candy and sno cone machine rentals. Mother Moose entertains children ages 1 through 12 at birthday parties. She wears the bright outfits of a clown and antlers, but no clown makeup because it can sometimes scare young children. If you want a traditional clown with full clown makeup and attire, she can come as Stitches the Clown. Party themes offered include a Princess Party, where Mother Moose applies makeup on the children while they bead bracelets or a hair ornament, puts on a puppet show and leads the children in a parade. For the Teddy Bear Picnic, children bring a Teddy Bear or other favorite stuffed animal, read a story, and have a picnic and scavenger hunt. Mother Moose comes dressed as a wizard to the Mythical Party, and brings dragons, unicorns, broomsticks and frogs. Kids enjoy the relay race riding a broomstick while balancing an egg, and the bravery test where you stick your hand in a cauldron of slime. For the Trip to the Vet Party, Mother Moose comes as Dr. Moose, the veterinarian. The children bring their favorite stuffed animals for Dr. Moose to examine. After all animals have been given a clean bill of health, a party is held to celebrate. Mother Moose also offers an Under the Sea Party, a Costume Ball Party, Safari Party (with puppets) and a Peter Pan Party. Other activities offered by Mother Moose include magic tricks, balloon sculpting and body painting. Prices vary by services requested, amount of time required and the number of children. Most Mother Moose parties are geared to 15 or fewer children, there is an extra charge for more than 15. They bring the equivalent of a science field trip into your home. Kids will have fun with the action-packed, hands-on activities such as panning for gems, learning about fossils, erupting volcanos and making their own gummy drops. For older kids, they offer rocket launches and hair-raising experiments with electricity. The program lasts one hour and 15 minutes. All they need is a place where the kids can get a little messy. High Touch-High Tech will clean up afterwards. There's a 15-child minimum, and the party is appropriate for ages kindergarten through sixth grade. Add some bounce to your party with a moonwalk. Party Time Moonwalks offers castles, dragons, dollhouses and more. Check out your options on their Web site. The cost is $135 plus tax for a four to five hour rental, and includes set up and take down. Call about one month in advance to reserve. Pick Pop Tart the Clown or Krazy Karen to entertain at a birthday party. Pop Tart is a clown in full clown makeup and costume. Krazy Karen is sometimes more appropriate for children age 3 and under who might be afraid of a clown in full makeup. She wears bib overalls with decorations such as Tweety Bird, a funny hat and goofy glasses. Activities offered include face painting, balloon animals and a magic show. Pop Tart and Krazy Karen charge by the hour, with most birthday parties taking one hour. Miss Tea Party entertains age groups ranging from young children (age 4 and older) to adults. Miss Tea Party always comes dressed in a hat that looks like a birthday cake and the guest of honor gets to blow out the candles on the hat. At children's parties, Miss Tea Party talks about manners and teaches children how to walk and turn in a little fashion show. She then gives the blessing (if OK'ed by the parents) and they eat and practice their manners. The children can have their picture taken in Miss Tea Party's bright pink truck. Tea parties can be held in the host's home, indoors or outdoors, as well as locations such as The Jefferson Hotel and The English Garden. The host provides finger sandwiches, muffins or scones, petit fours or cookies, tea or pink lemonade, a half-moon lemon slice for each guest and a set table. Cost is $200 per party, plus expenses if travel outside of the Richmond area is required. If you live on the south side (Midlothian, Petersburg, etc.) Brandywine Stables will bring their ponies to you. (They only serve parties within a 30 minute travel time from their stables.) Charges vary by location and number of participants, but generally are $135 for one pony and $185 for two ponies within 15 minutes of the stables, and $150 for one pony and $200 for two ponies within 30 minutes of the stables. You need to provide an area where they can walk the ponies. They will clean up afterwards. Brandywine Stables uses Welsh and Shetland ponies and can handle a child up to 145 pounds. Ponies are provided for one hour and are hand-led by a walker. If the child is under 2, a parent will also walk beside the child. One pony is recommended for parties of 10 to 12 kids, and two ponies for up to 20 kids. Mesa Vista Farm offers an hour of pony rides at their Powhatan location, as well as a petting zoo with donkeys, llamas, goats and pigs and a place to have cake and ice cream. The farm provides riding helmets. You can bring a grill if you want to cook hotdogs and hamburgers for lunch. Call for price information. Let Ocean Encounters bring sea creatures to your party for an educational adventure. They use interactive learning tools including costumes, props and live specimens to make learning fun. The hands-on programs are appropriate for ages 3 and older. Barnyard Buddies (requires a 20' x 15' area): This "petting zoo" is the best option for very young children. It includes farm animals such as a miniature horse, a llama, goats, sheeps, ducks, rabbits and chickens. Sometimes the miniature horse even sports a party hat. Wildlife Friends (can do indoors or outdoors): Geared to ages 4 and up, this program features exotic animals such as primates, a baby kangaroo, hedgehogs, porcupine, a lynx and a serval. It includes an educational talk about where the animal lives, its habitat, how it adapts and issues related to conservation.